Just FYI…this post is a little longer because I think having the pictures of what your next Spring sensory bin can look like gives ya that inspiration to make it! 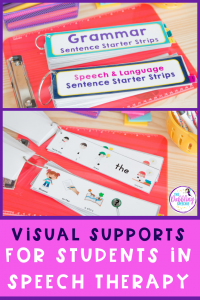 I have an Ultimate Sensory Bin Guide for my newsletter subscribers that has insect printables and Easter egg themed printables that you can grab by going to my Sensory Bin page (The guide includes a LOT more printables). 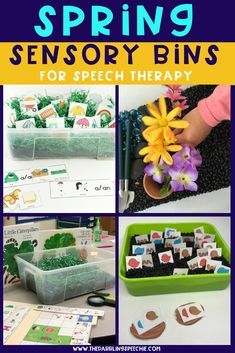 Now, let’s get inspired and see what kind of sensory bins you can make for Spring! #1. 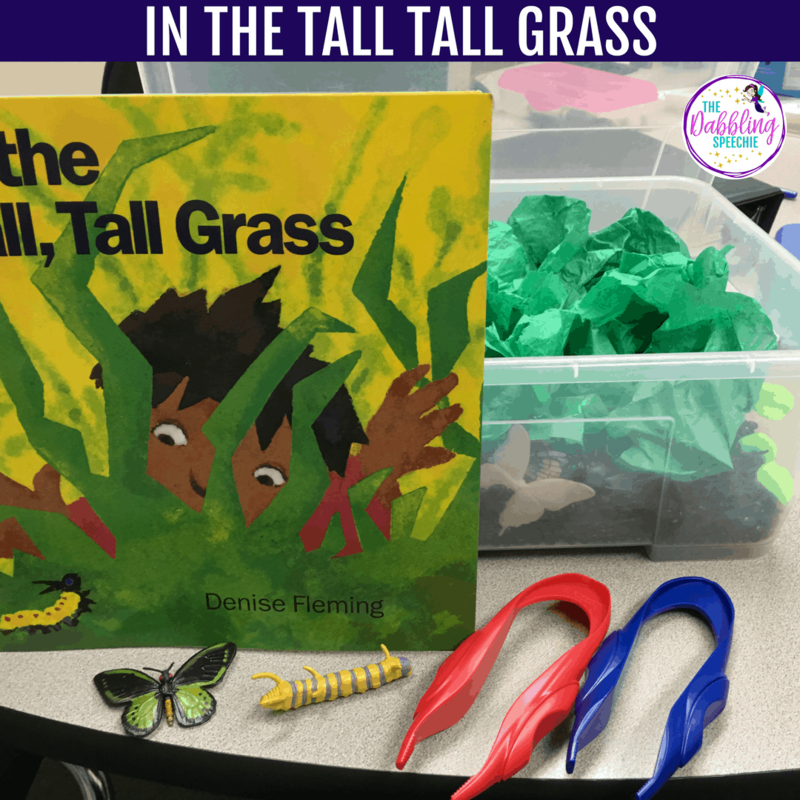 Make a sensory bin inspired by the In The Tall Tall Grass book. Use your plastic insects to create a fun bug bin. Toobs on Amazon are great (Amazon affiliate link included). You can read more about this bin on my blog post HERE. I like using green shredded paper, dyed green pasta, cut up Easter grass or green tissue paper as my grass. What do you like to use? 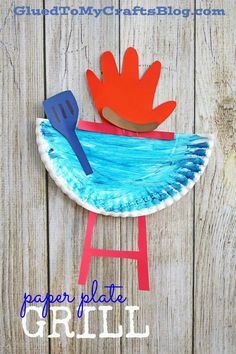 You can also make an insect bin or a bin inspired by The Very Hungry Caterpillar book. 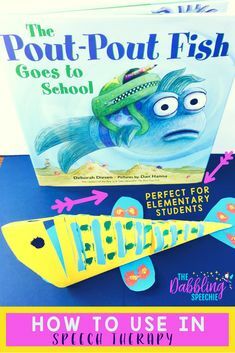 You can read this blog post to see more ideas on how to use this book. 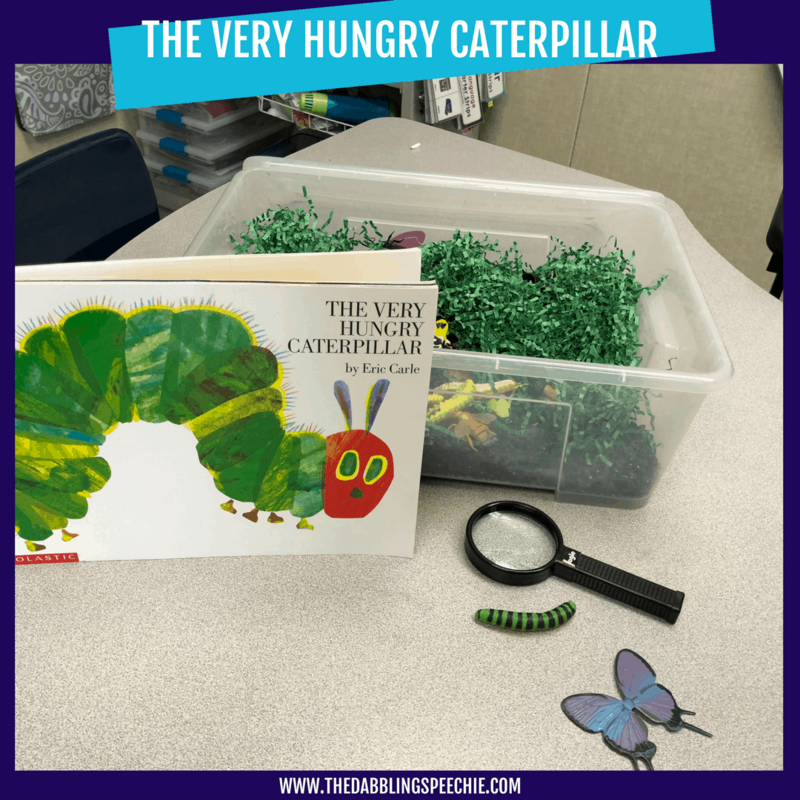 Search through your play food to find the items that the caterpillar eats, throw it in a bin and you can work on story telling. 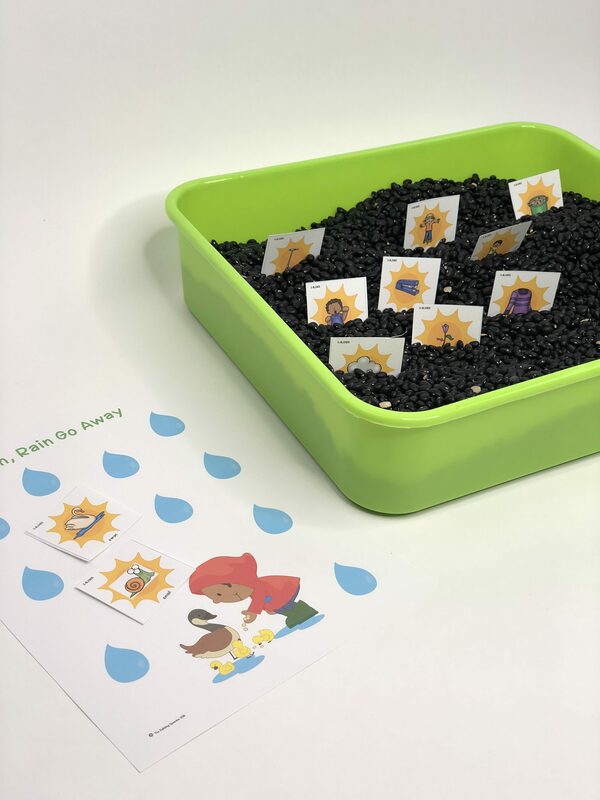 For all those SLPs in the elementary setting trying to rock those mixed groups, this flower garden sensory bin companion will help you target goals for articulation and language. 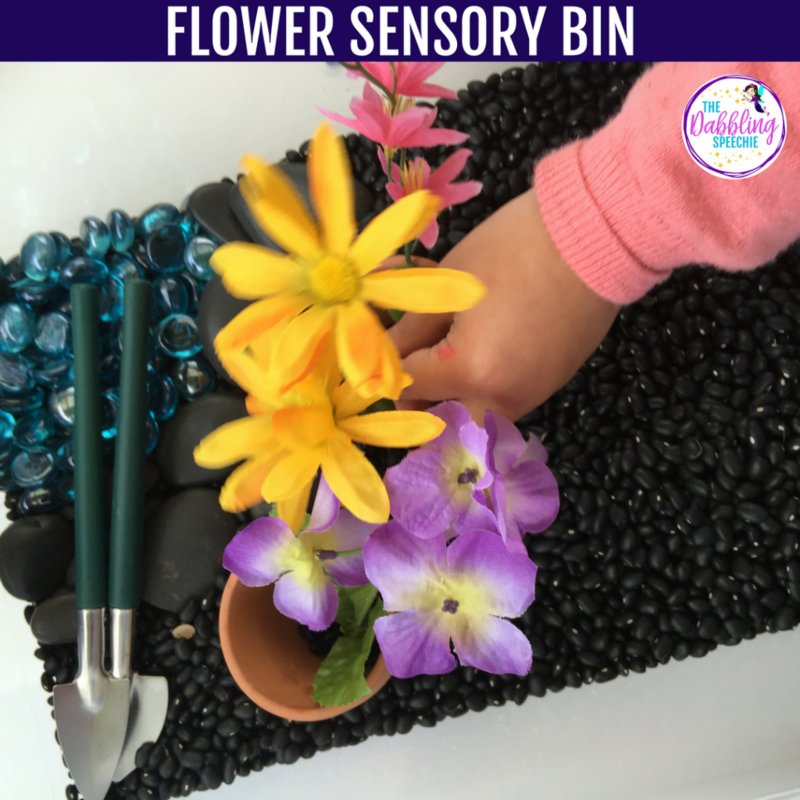 You can also go to the Dollar Store and buy fake flowers and mini planting pots to create a flower planting sensory bin! SLPs can target sequencing for “How to plant a flower?”, and practice describing flowers and garden tools by attributes. 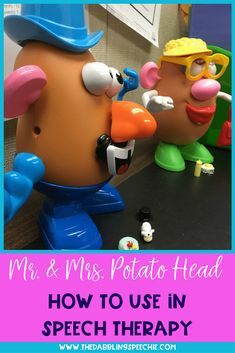 This is a great pretend play activity to work on language and social pragmatics with your younger students. 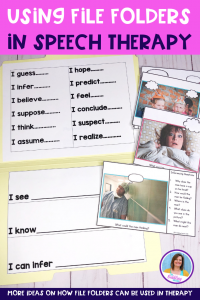 Many of my students are working on describing nouns by attributes or learning to explain a noun’s function. I like to use themed vocabulary to work on those skills. 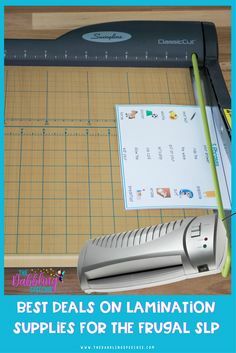 You can add mini items that would go in a spring category or put in different spring vocabulary printable items. I love using green shredded present packaging paper for grass and use dried black beans as dirt. Then, I have students go on a “Can You Find It Hunt?” You can add in a magnifying glass to make it more engaging. Can you find something that you wear? Can you find something that you blow? Can you find something that you sit on? For some of my other students, we also work on the verbs “hide” and “found”. We can hide items in the grass and work on generating complete sentences with sentence frames. 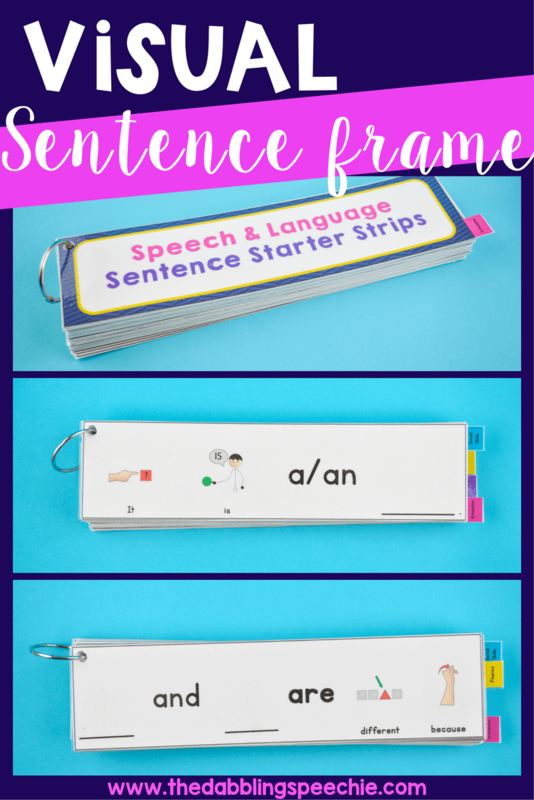 Want to learn more about sentence frames? Here is a blog post I wrote all about them. 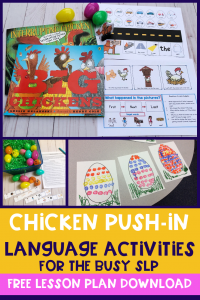 This sensory bin is part of my spring-themd push-in language lesson plan guides if you need activities for your small and whole class instruction. 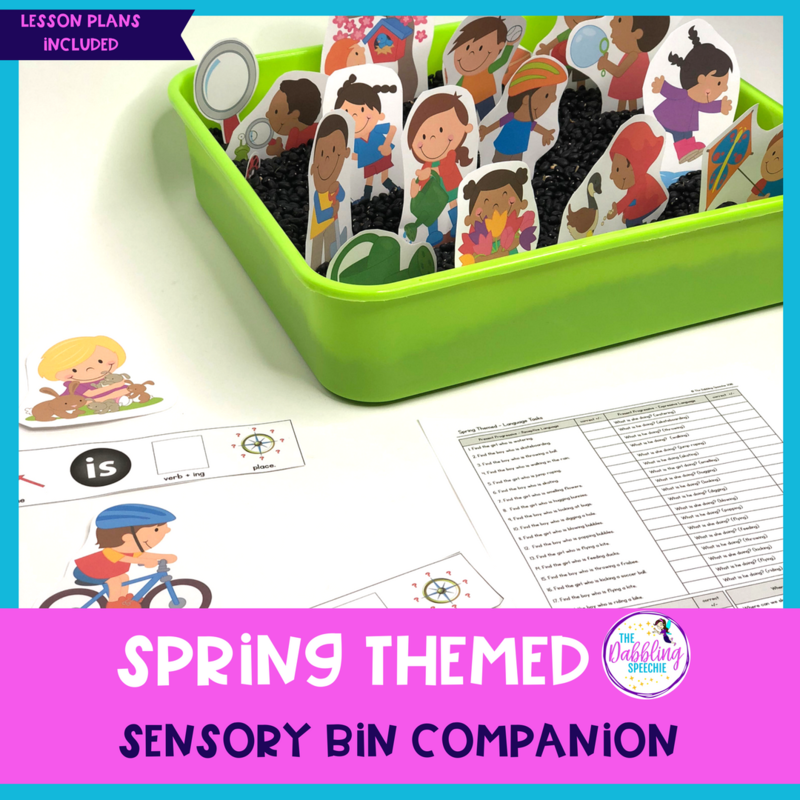 I created a Spring Sensory Bin Companion that comes with printables to work on verbs, basic concepts, vocabulary and more! 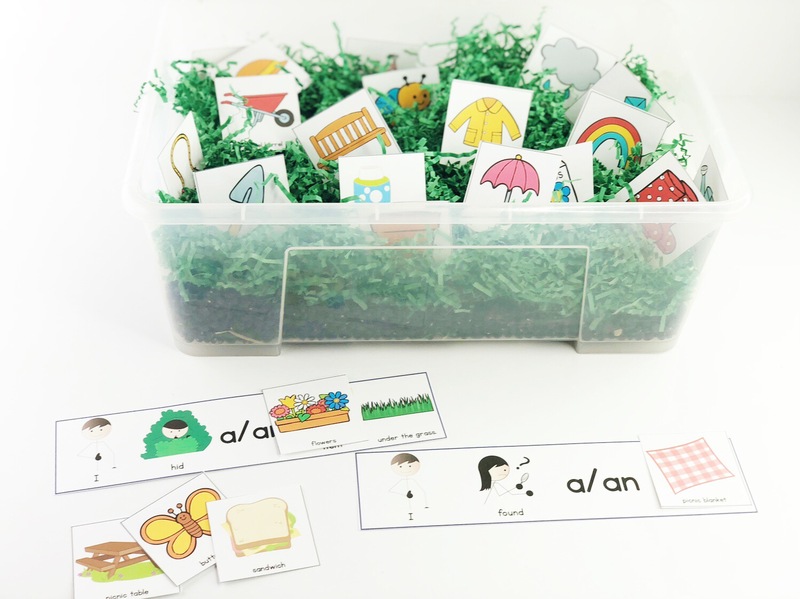 There are reinforcer sensory bin activities as well as an articulation themed bin. 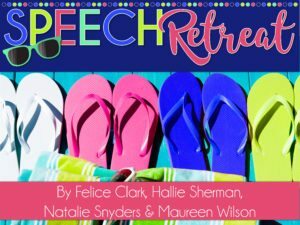 In my companion, I also include articulation and language cheat sheets to help you with implementing therapy without having to think of words in the spring season! 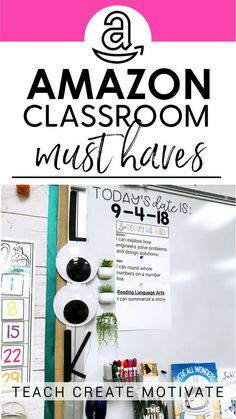 If you love doing seasonal therapy and using sensory bins, then you may want to invest in getting my seasonal sensory bin bundle HERE. 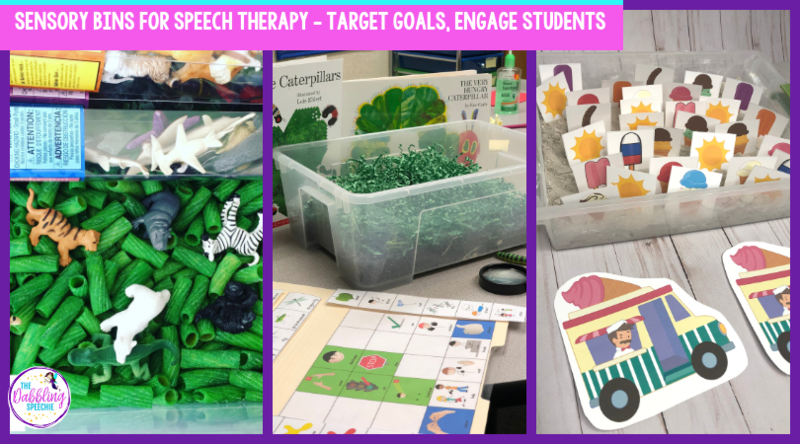 I love sharing other sensory bins from SLPs because it helps us with planning therapy. 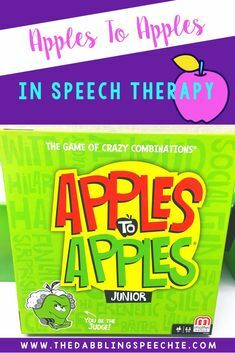 Better to have more inspiring therapy ideas to pull from, right!? Need More Sensory Bin Inspiration? 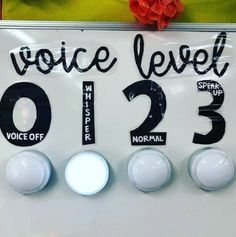 For all of my SLPs out there that LOVE sensory bins, hop on over to my sensory bin pinterest board for more inspiration. 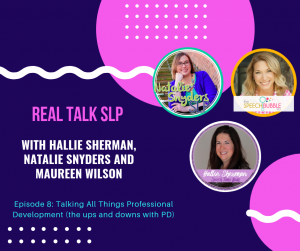 On my Sensory Bin page, you can find lots of resources for making your next sensory bin, including my Sensory Bin Webinar that you can watch the replay on youtube. 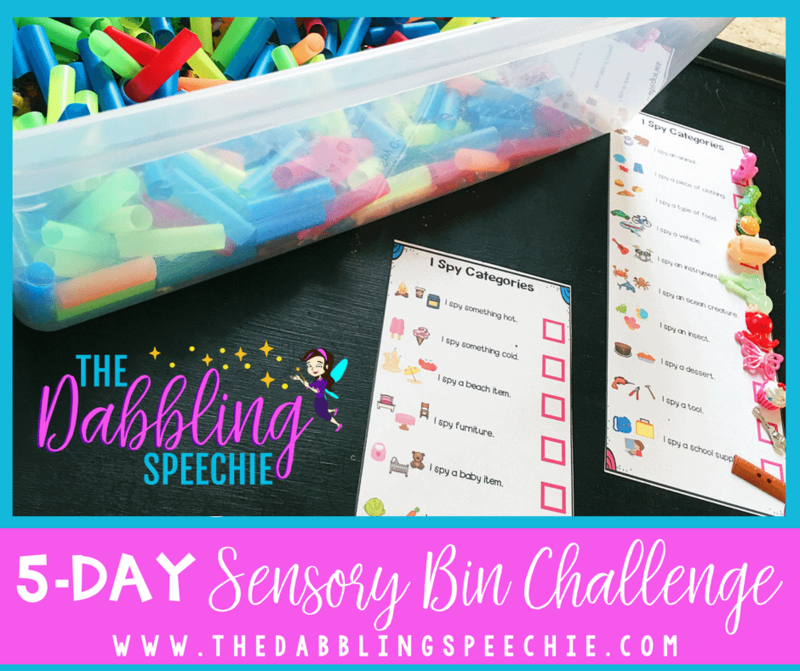 If you are super busy and struggle with completing DIY therapy projects, then come join my 5 day Sensory bin email challenge! 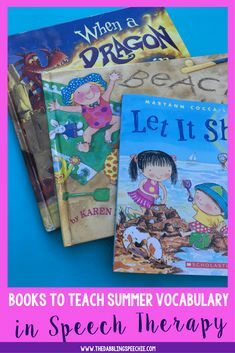 Each day, I give you a small “to do” to complete to get your next sensory bin up and running.